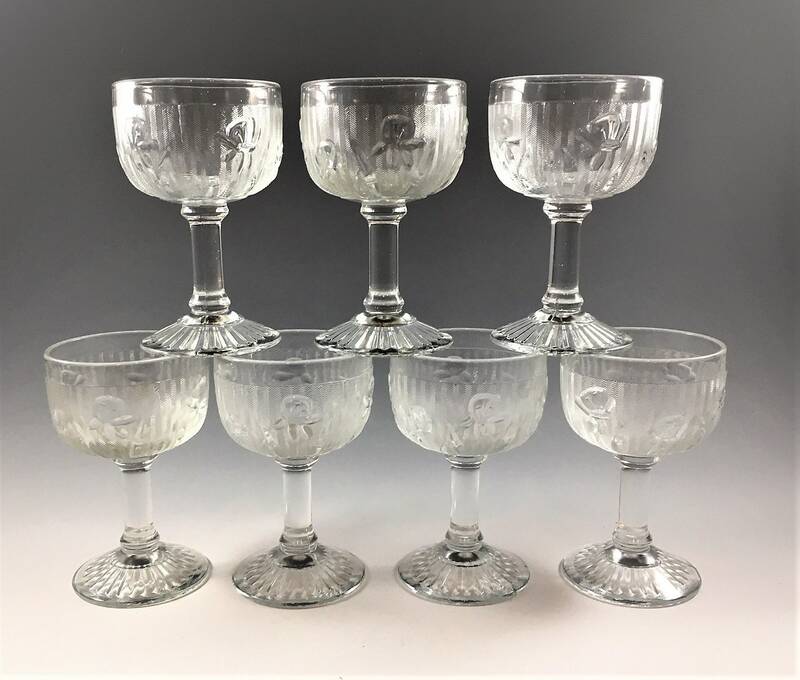 Featured is a wonderful set of 7 vintage cocktail glasses from Jeannette. 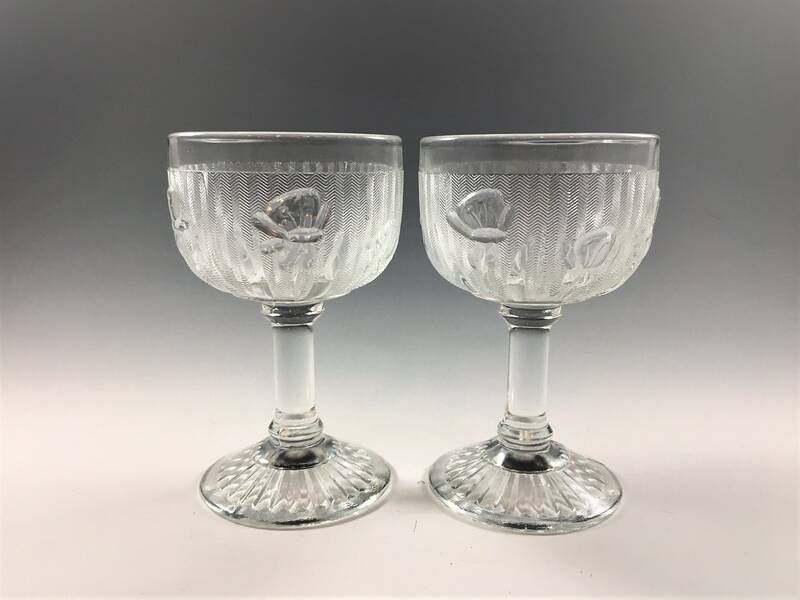 These small Depression Era pieces are from their very popular Iris pattern that was also know to collectors as Iris and Herringbone. 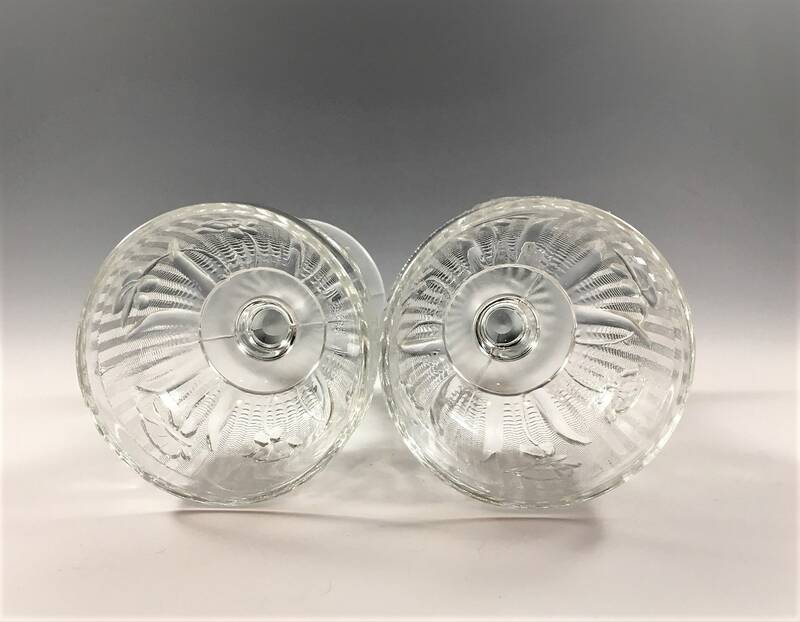 The Liquor glasses are about 4 1/2 inches tall and hold about 4 ounce when filled to the rim. 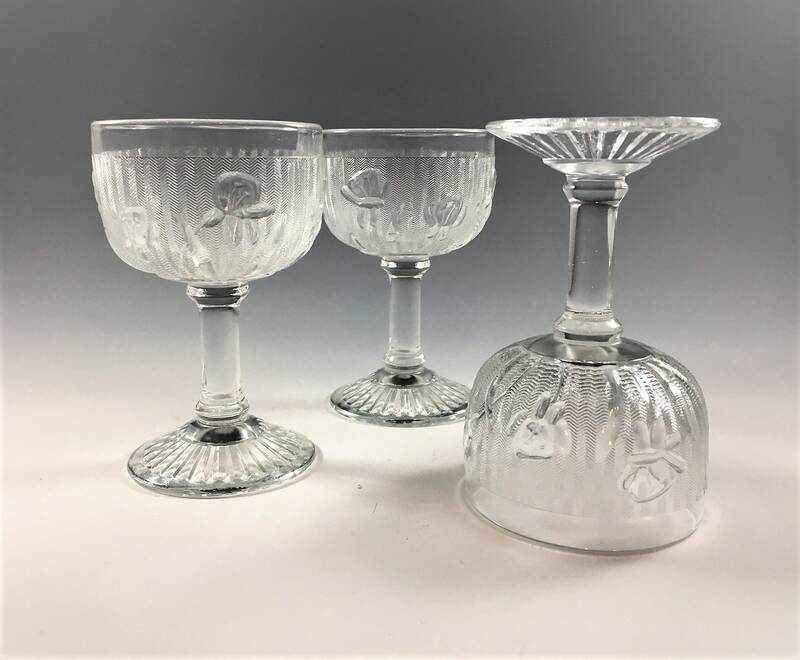 One of the glasses has a small chip to the base, the other 6 are in excellent condition, free from any chips or cracks. All 7 pieces offered here for one low price.